As a pet-owner, you naturally want the best for your beloved pet as well. 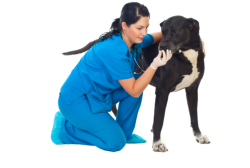 At Roselle Park Rita Pharmacy, we understand how special your pet is to you and that is why we are offering compounding services for your pets as well. Want to learn more about how we can help your pet? Give us a call at 908-245-1396 for more information today.